The Canon 6D is a full frame DSLR, the lightest yet offered by Canon and was launched soon after rival Nikon came up with the D600 a full frame small body DSLR. 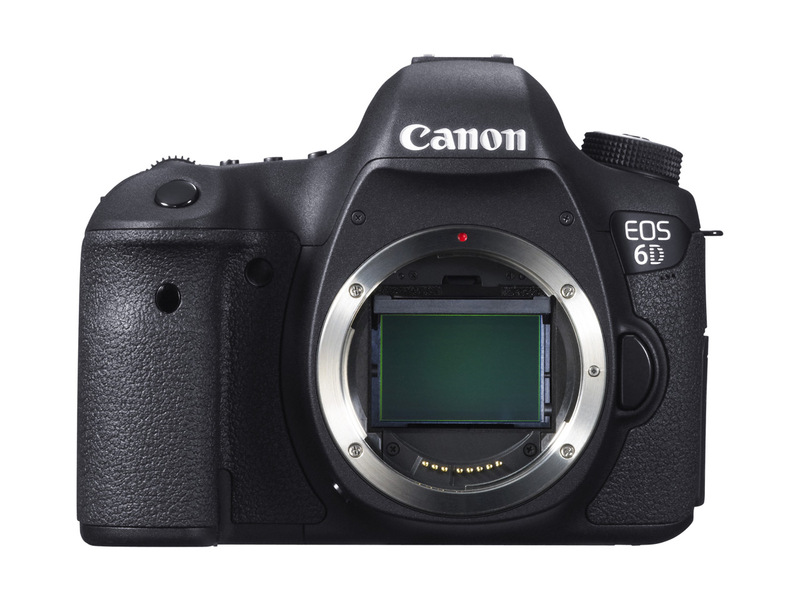 While the EOS 6D may have been launched after the D600 many of the specs that the EOS has are shared from the current darling of the Canon stable, the EOS 5d Mark III. ISO performance from 100-25,600 which can be further upgraded from ISO 50 to 51,200 and 102,400. Full HD video recording at 30p, 24p, and 25p along with manual exposure control. Built-in Wi-Fi transmitter allows you to share your images instantly with your laptop; tablet or Android / iOS powered Smartphone. EOS remote app is required to be installed on your Smartphone / tablet to use this feature. Built-in GPS receiver allows recording of the location data about the place where the images have been taken. Feature like Full HD video with manual exposure control, multiple frame rates, and a Full-Frame sensor provides stunning performance and creative flexibility. The built-in Wi-Fi® transmitter allows you to wirelessly transfer your photos instantly to social networking sites through CANON iMAGE GATEWAY, or upload virtually anywhere from your iOS or Android smartphone with the free EOS Remote app. With this free application you can use your smartphone for remote camera control and operation or even print your images on a Wi-Fi® compatible printer. In addition, it is also perfect for travel and nature photography, the built-in GPS allows location data to be recorded while shooting. Compact, lightweight, low-light performance, and loaded with user friendly features, the EOS 6D is truly the Full-Frame DSLR camera for everyone. 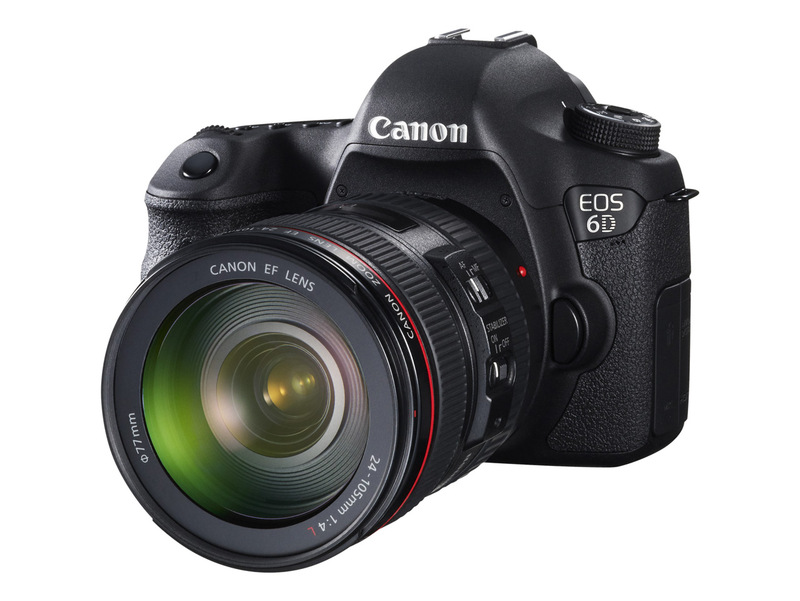 The older 9-point AF system of Canon’s rebel series and other prosumer model DSLRs has been used in the 6D. In terms of numbers the D600 has more but the 9-point AF system works without issues. Canon’s designing of the 6D is great. 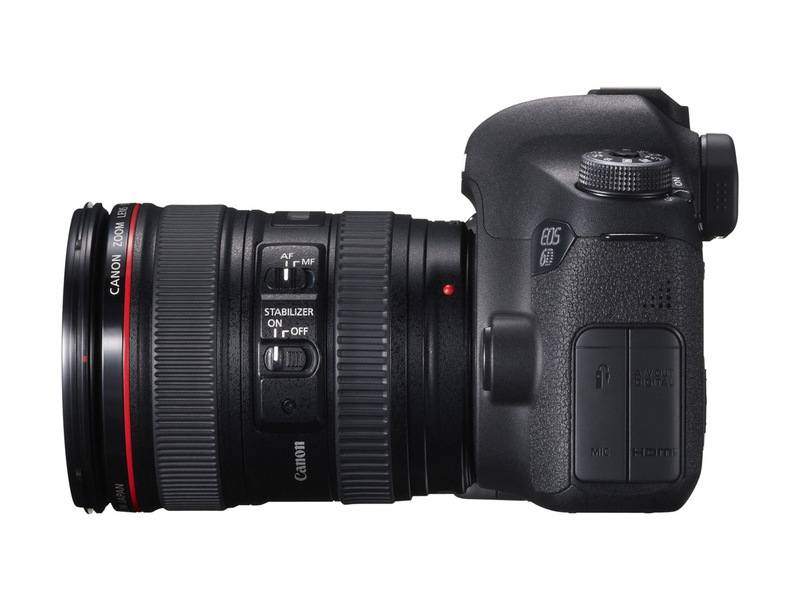 For those who have loved the ergonomics of the 5d Mark III you will also love the 6D’s button layout. For those who prefer a one-handed use of their DSLRs (not sure this is something that is absolutely a must) you may not like the fact that the menu button is on the left. 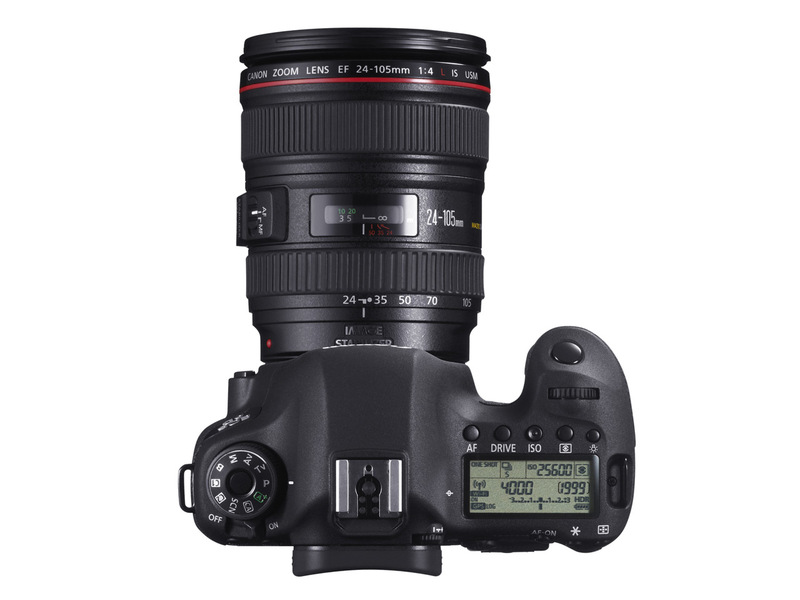 For added convenience, however, and just like most professional DSLRs, it is possible to reprogram the set button to mimic the menu button and get out of that small hurdle. For those who prefer it on the left the button layout is just fine. The 6D has an impressive performance at higher ISOs, when the lighting conditions are really tricky. The performance is near comparable to the 5d Mark III. The 6D is much better when it comes to auto-focusing in low light conditions compared to its nearest rival the D600. Plus it seems to be it is almost everything that the 5d Mark III can do while being a good $1500 cheaper. The silent mode of the 6D is much better than its rival the Nikon D600 and almost comparable to the 5d Mark III. The 5d Mark III has arguably the best silent mode in the business but the 6D is up there with it. Weather-sealing has been provided in the 6D, but much like the 5d Mark III and the rival D600, this camera is definitely not what you would want to carry if you’re heading straight for a tropical storm. You would like to carry one of Sony’s models or the Canon flagship 1DX. The 6D does not have continuous AF in movie mode. There are only 11 AF points and only one cross-type AF points. The rival D600 has a total of 39 AF points to boot 9 of which are cross-type. Thus the D600 scores heavily over the 6D. The 3” LCD screen is slightly smaller than the 3.2” LCD screen of the D600 but the resolution is much brighter than the Nikon model. The viewfinder coverage is only 97%. This is something that a professional photographer will not enjoy. The rival D600 has a 100% viewfinder coverage and even the top-level prosumer DSLR from Nikon the D7000 also has that. Additionally the 6D has only one SD card slot while the rival D600 has two. The only good thing about the 6D appears to be it is a lighter camera and has most of the features of the top-level prosumer from the same make the 5d Mark III at a price that is much much less. Auto White Balance (AWB) is one area of the 6D that is not satisfactory. The camera does not correct the temperature of the light source as desired and pictures taken under different light sources or when taken in shade can have unusual color casts. The continuous shooting speed is only 4.5 fps. While this is not something that is ideal for shooting sports or action photographs it is respectable. The 5d Mark III has a much better 6 fps. This discussion has already, liberally, drawn comparisons between the Nikon D600, the Canon 5d Mark III and the Canon EOS 7D. Together with the EOS 6D, all these four are great cameras and what you end up buying is entirely personal. The 7D in spite of being a great camera has an APS-C sensor. 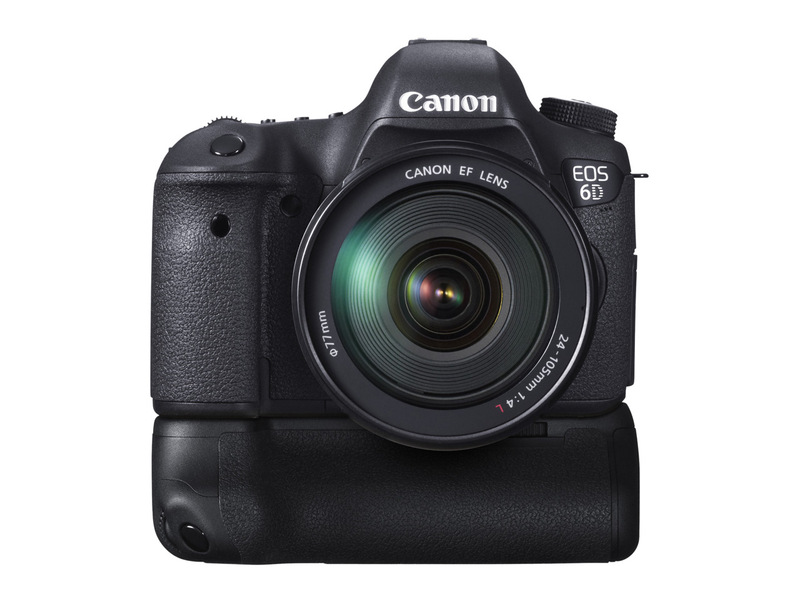 If we drop it on that basis t6hen among the remaining three the D600 and the EOS 6D are priced at par. If we come down to features the D600 is a great camera too and has its own reasons to buy. 1. FlexiZone – Single * One-point, contrast AF. Switching to another AF point is possible.